Edit: I’ve recently created a video tutorial going through this process, if you’re interested it can be watched here! 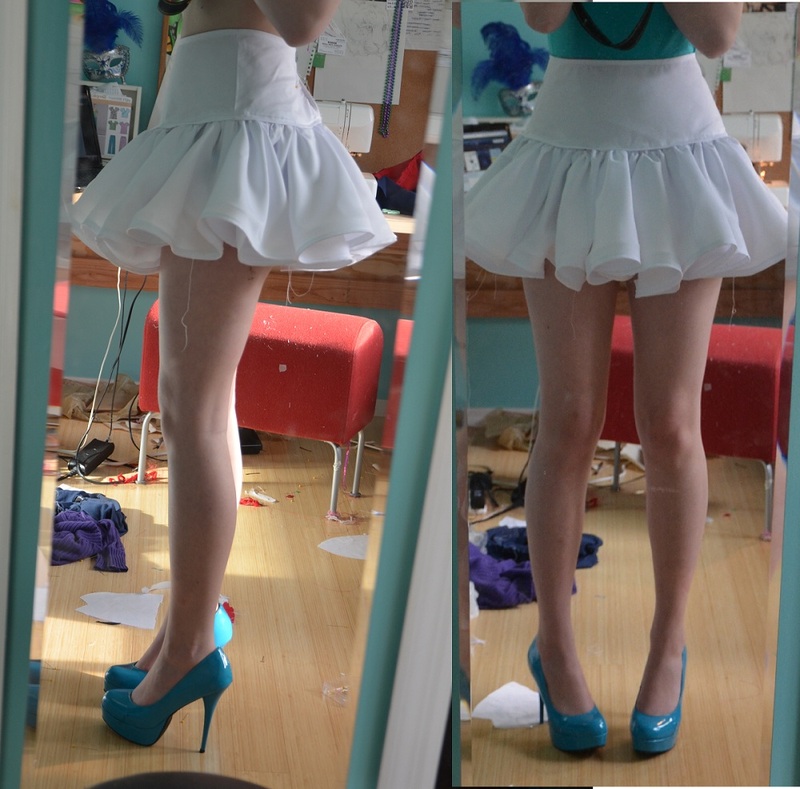 Hello everyone~ I’m getting an early start on my AnimeNEXT cosplay and thought I would share some of it with you guys. Also, my “The world god only knows” uniform part 2 will be up VERY soon. Expect it in the next week! 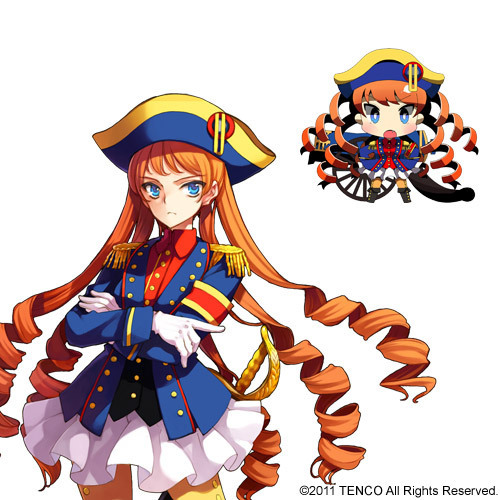 Napoleon’s skirt is ridiculous in the poofyness and ruffle department, seriously it’s insane. So right away I knew that I would need tons of material, and some sort of stiffening for the hem. 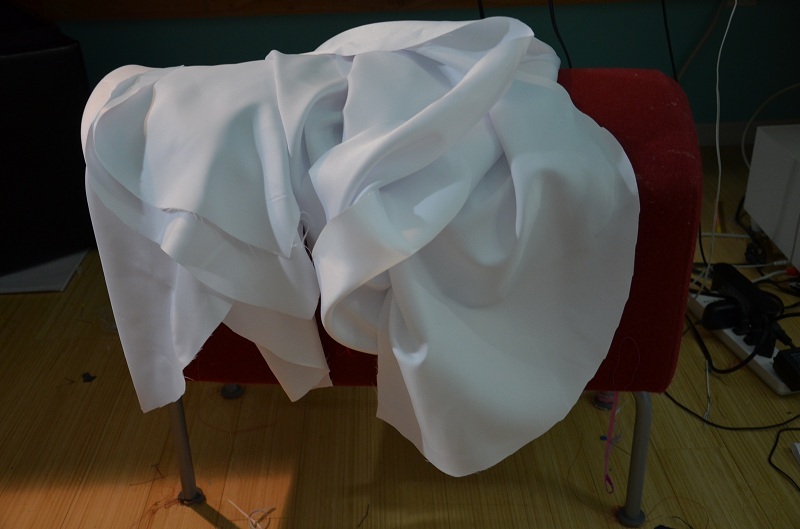 Luckily I already had several yards of white bridal satin laying around, then the other day I picked up 12 yards of horsehair braid, which meant I had everything I needed to get to work. 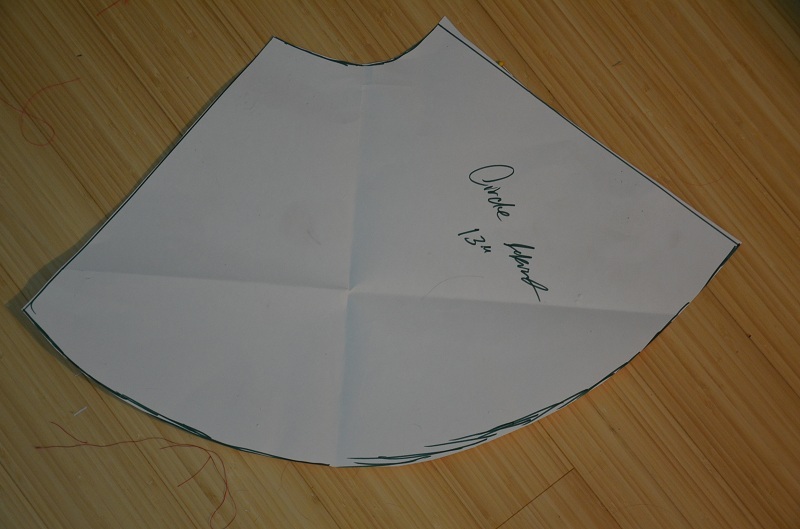 Step one was drafting a quick circle skirt pattern, I think everyone has seen these before, but this is what mine looked like. Please excuse my terrible handwriting. 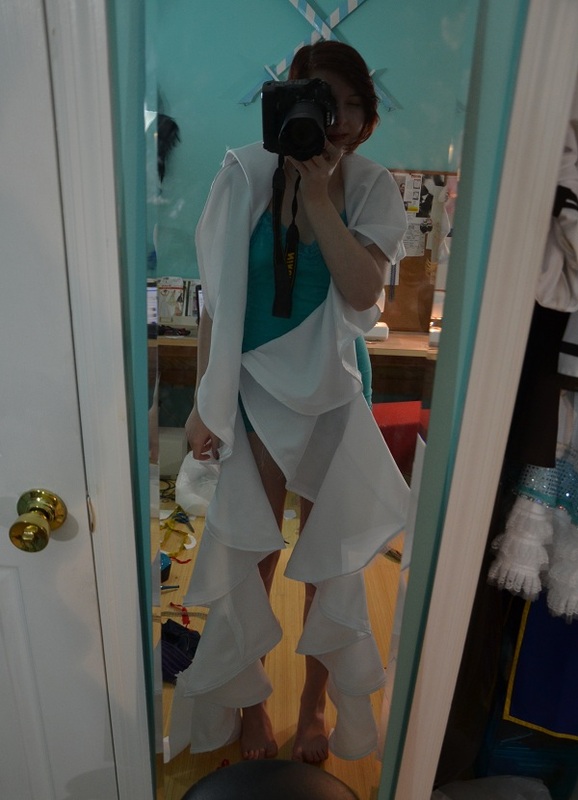 Next step was cutting them all out, in total I cut out 4 circle skirts. Then I sewed them all together. At this point they didn’t look much like a skirt, but they made a lovely scarf. For reference of how much material was here, I’m around 5’ 10”. Then came the pinning. Oh god, the pinning. 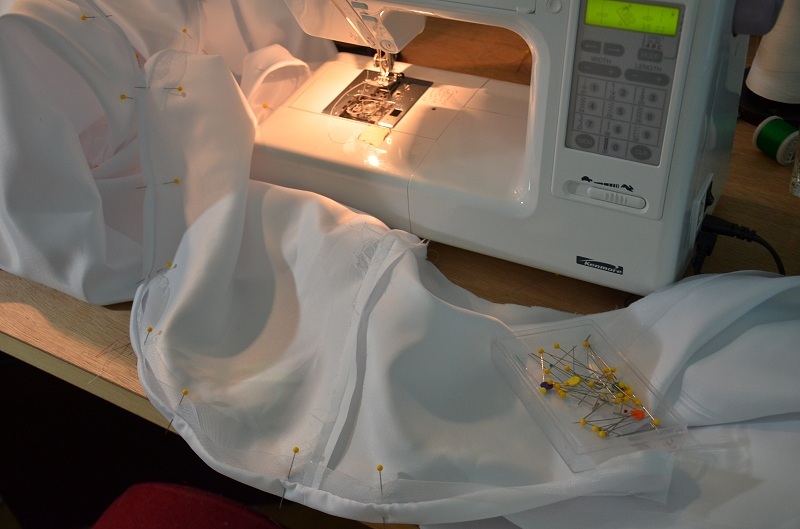 The hem was 12 yards, which means it tookages to pin it all, and to make things worse, my bobbin ran out half way through without me realizing, which meant I had to do even more pinning then I had originally planned. And for those curious, this is what the horsehair braid looks like. 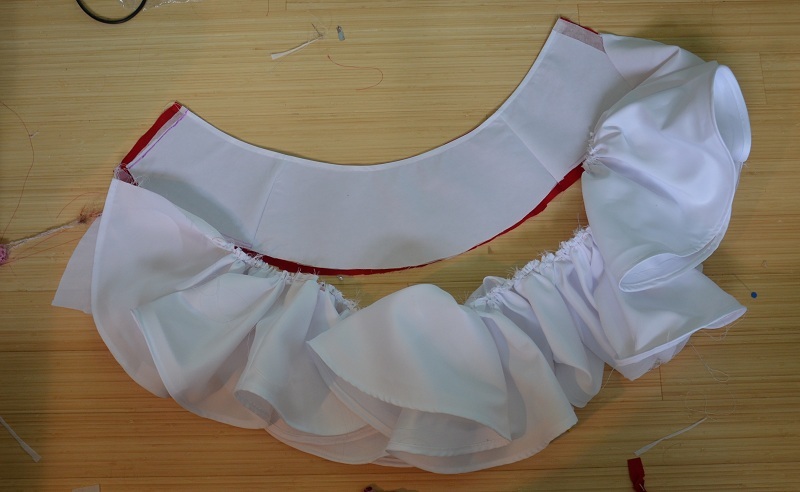 After it was all hemmed and had the horsehair braid added you could see the ruffles forming. Modeled once again, as the lovely scarf that it was. Since a corset/vest is worn over my waist, I couldn’t have the ruffles extending all the way up. So I made up a waistband, it’s made of three panels and has interfacing in all of them. Then I went ahead and lined it for good measure. This is also where I gathered my “scarf” down into 40 inches of ruffles. 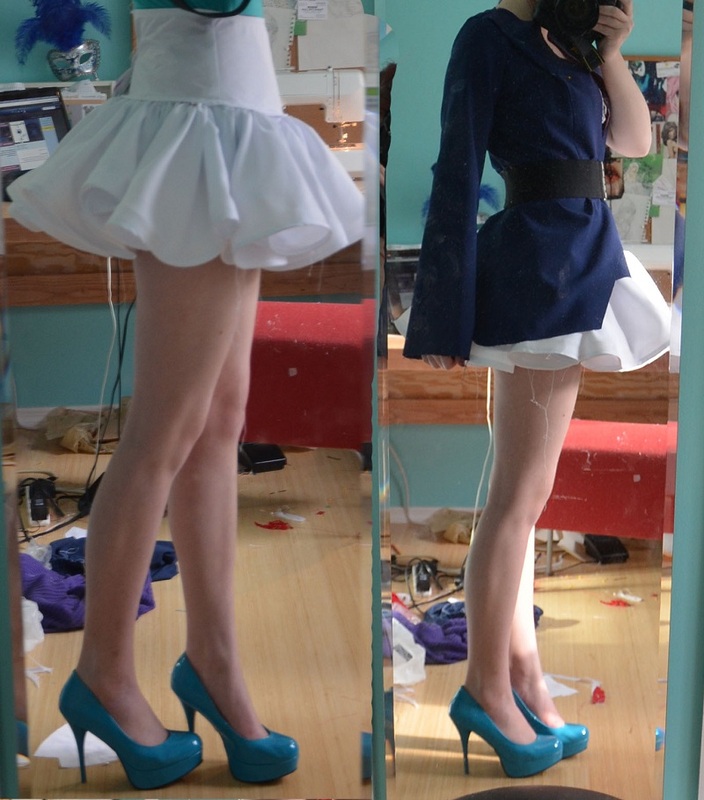 Then I sewed them together, and looky here, It’s pretty much done! 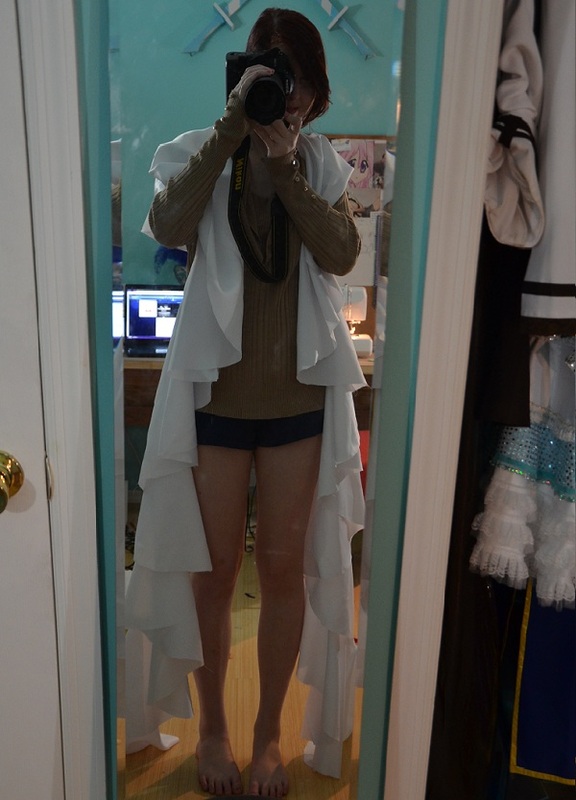 I just need to tack down some of the ruffles and add a zipper. But that should be very easy. 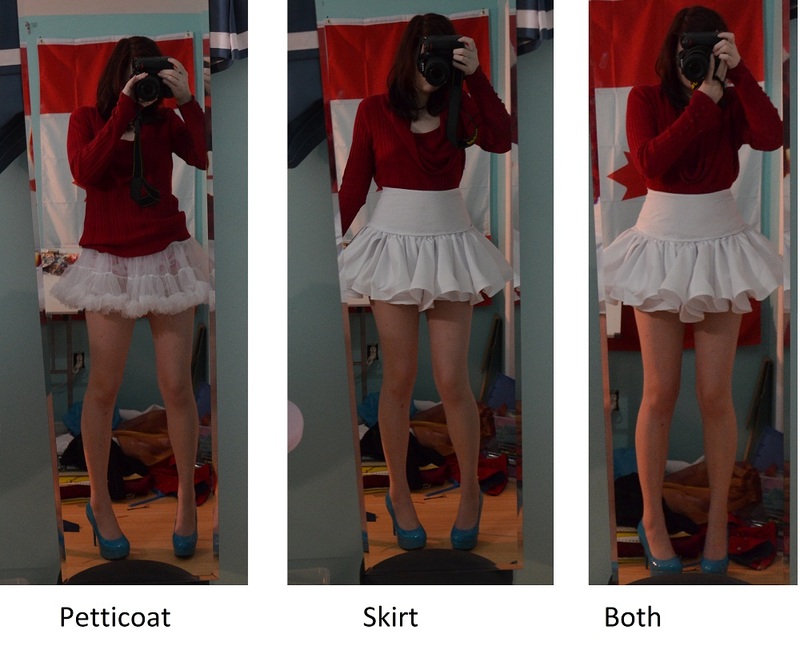 Edit: 5/5/12 A few updates on this skirt! 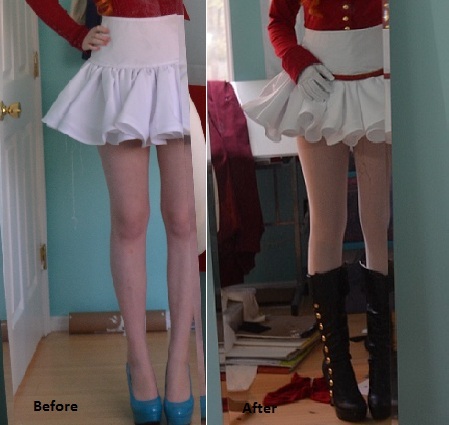 And then I went through and sewed certain parts down, giving it all a more uniform look. 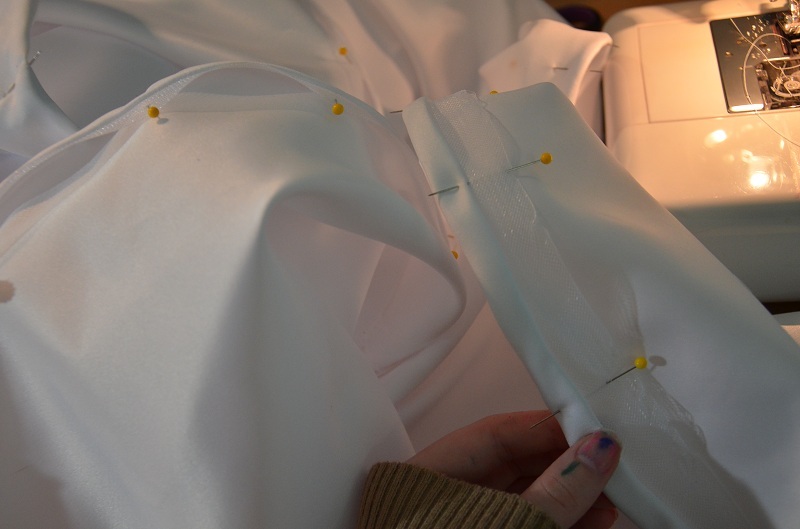 I know the frustration of pinning insane amounts of fabric haha, I had to pin ruffles to a 15.5 yards piece of fabric when making a Will of Abyss cosplay and it took forever. Oh my, that is a lot! But if I recall correctly that costume came out fabulously. For this one I had to hem it…then sew the horsehair braid in. So it ended up being 24 yards of pinning, blah! Thank you very much! Yeah, I’m in love with the design. I hope it all works out in the end. That skirt is beautiful. 🙂 I can’t wait to see your finished outfit, doxie. Quick question: How did you sew the circle skirts together? I’ve been confused on that for a while unfortunately, and couldn’t really find the answer anywhere. Hello! Your skirt looks so lovely! I was wondering what could I do if I wanted a full circle skirt but with a number of specific pleats in it? Thank you and keep it up!! Hi. Thanks for making this tutorial. I was wondering about the pattern paper of the circle skirt. what kind of circle skirt did you make? is it a 3/4 or a full circle skirt? each piece looks like an “O” with a slit (makes a C kind of) then you sew end to end. 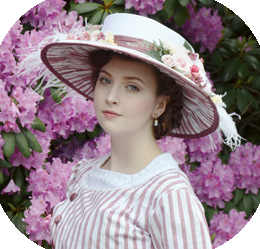 Hello, thank you so much for sharing your tutorials, where do you usually buy your horsebraid? Is it stiff? Or normal? I love this skirt!! You did an amazing job!